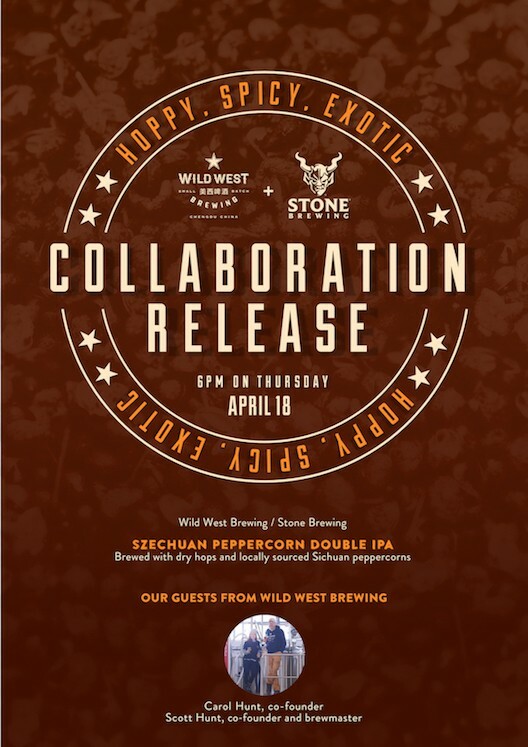 Stone Brewing has paired up with Wild West Brewing to create the hoppy, spicy, and super exotic Szechuan Peppercorn Double IPA. At 6pm on April 18th, be one of the first people to try this unique collaboration brew and get a chance to discuss the inspiration behind this beer with Scott Hunt, the founder and brewer at Wild West. Brewed with dry hops and locally sourced Sichuan peppercorns, this beer will have everyone's taste buds singing.